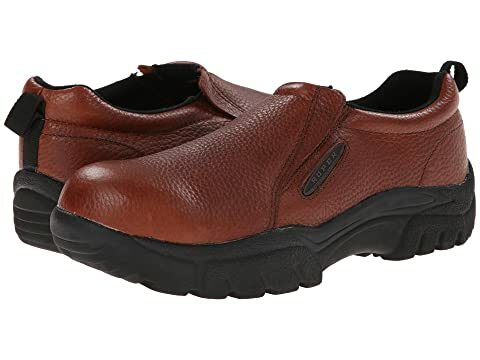 This Roper performance slip-on shoe offers both comfort and protection with its durable leather and steel toe design. 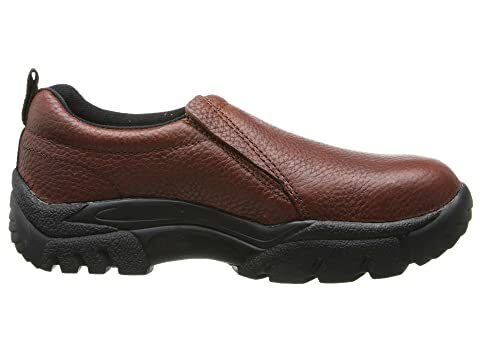 Soft fabric lining provides breathability for a more comfortable foot environment. 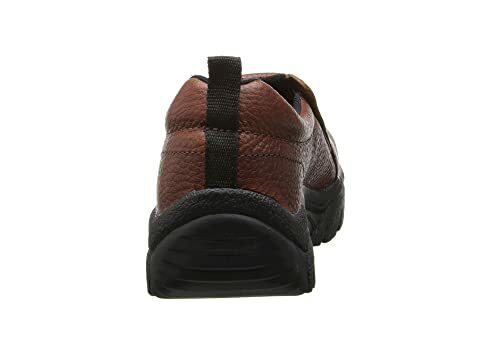 Molded EVA midsole for comfortable support. 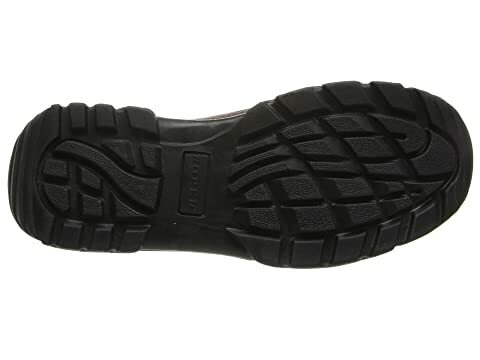 Nonmarking durable rubber outsole provides excellent traction on many surface types. 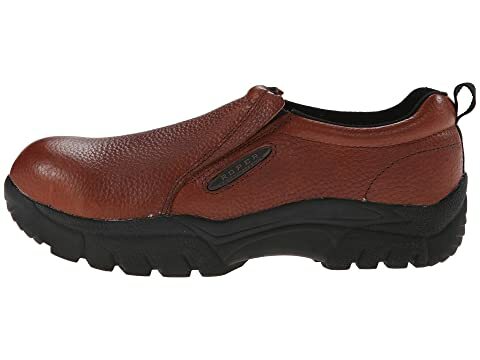 Steel toe meets ASTM F2413-11, M I/75 C/75 EH safety standards. 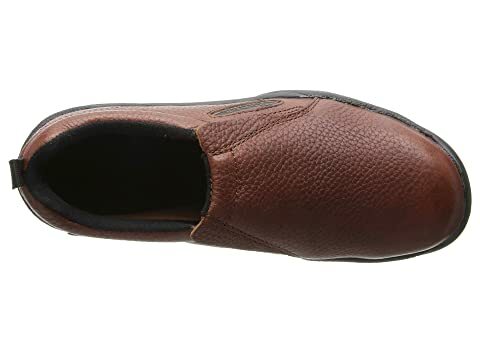 Product measurements were taken using size 8.5, width EE - Wide. Please note that measurements may vary by size.